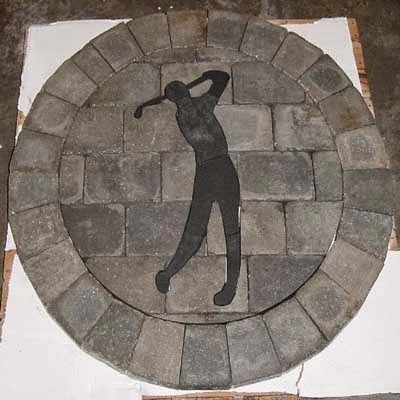 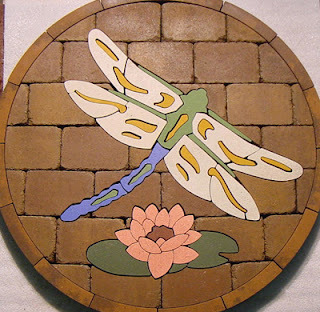 New Paver Art for your new job or existing job. 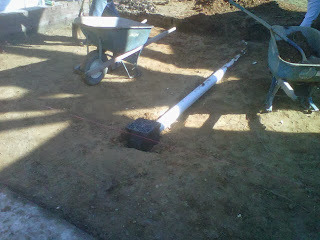 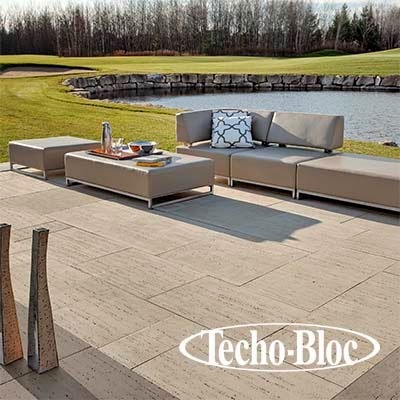 They can be installed in regular concrete jobs, paver jobs, and stone jobs. 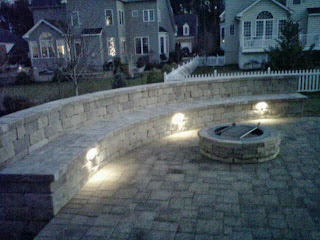 All are 4' diameter. 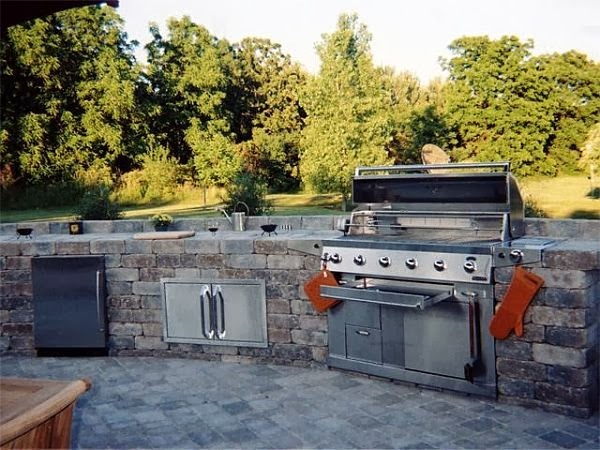 We have a great selection of Gas and Charcoal Grill inserts. We also carry a selection of refrigerators, ice makers, and storage cabinets. 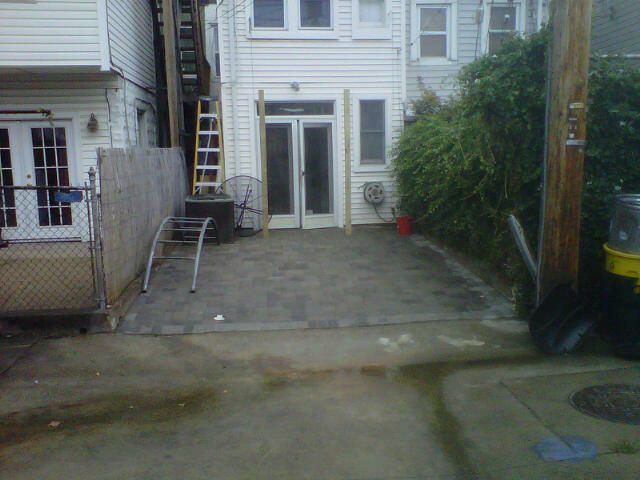 Create your own custom area to fit your needs. 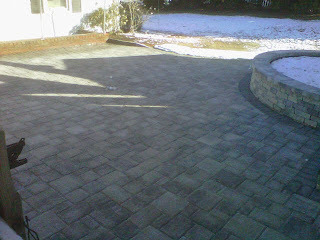 Winter time Reistertown MD backyard. Box drain installed, 3" chapel wall block grey blend for wall and natural finish appian random pavers natural charcoal blend with 4x8 traditional charcoal border. 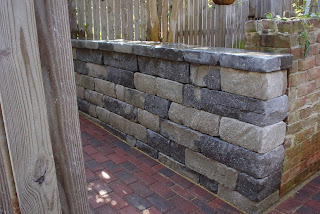 The retaining wall is the 6" block grey blend color Chapel Stone Wall. 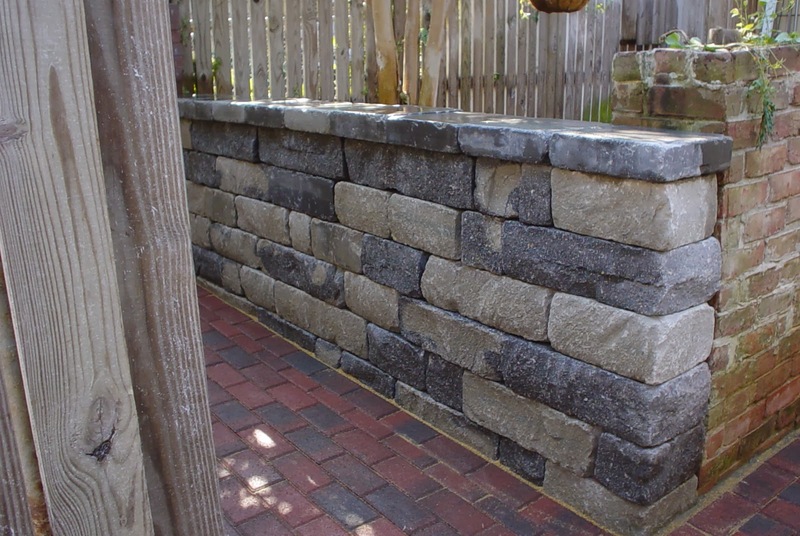 The wall system comes with its own wall cap for the top of the wall. 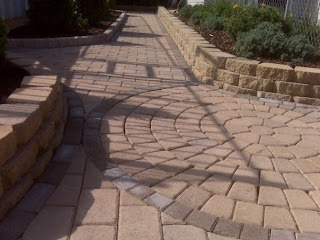 It's a split face quarry stone look that looks good from both sides if the wall is free standing. 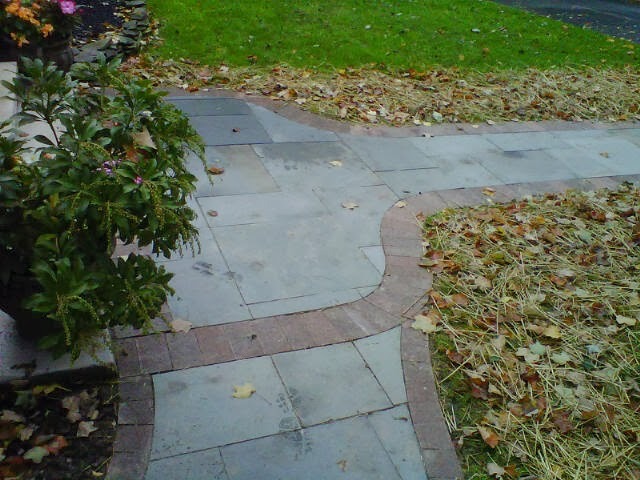 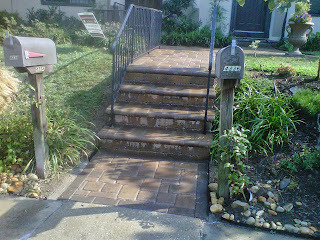 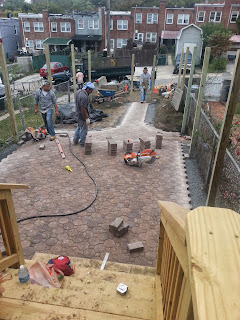 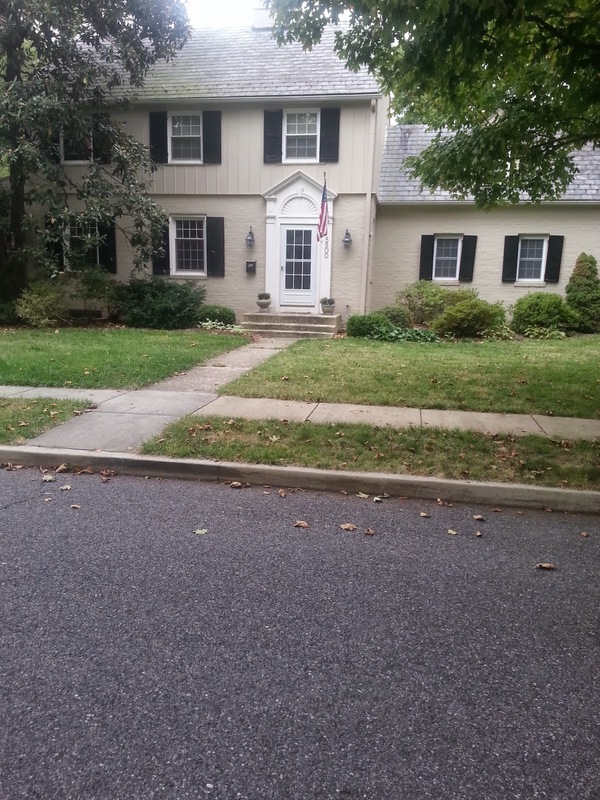 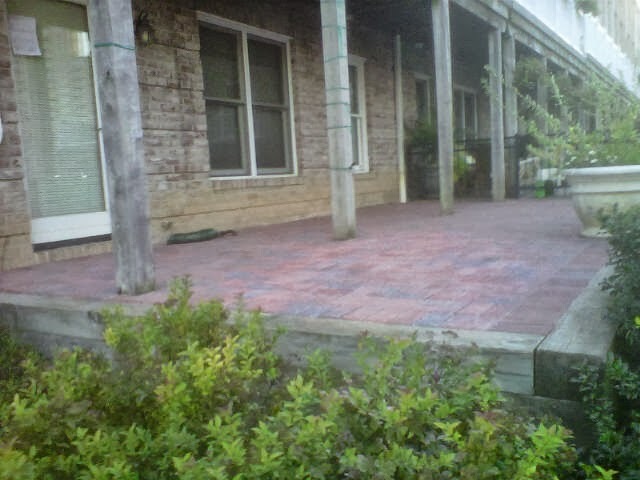 Replace existing concrete walkway and steps with pavers. Appian Random natural finish pavers in the chocolate tan blend color. 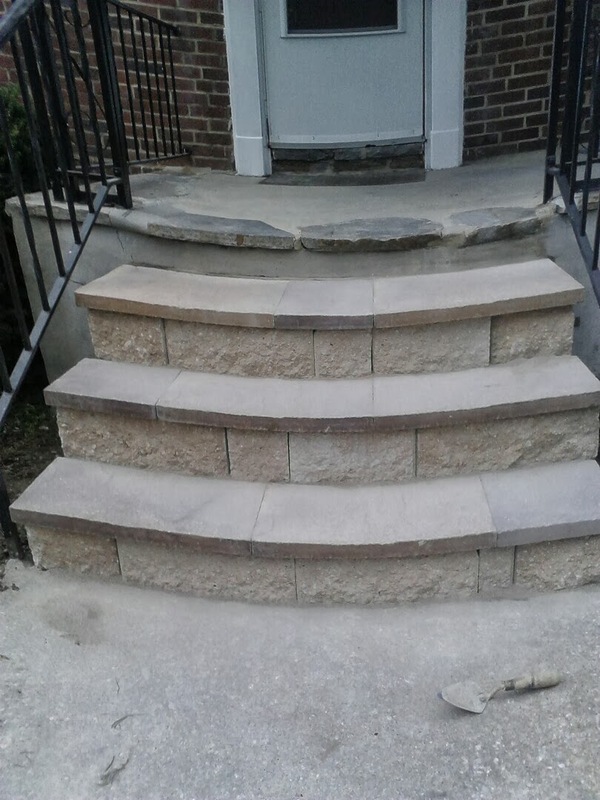 Ammons Wall block steps with bullnose step treads. 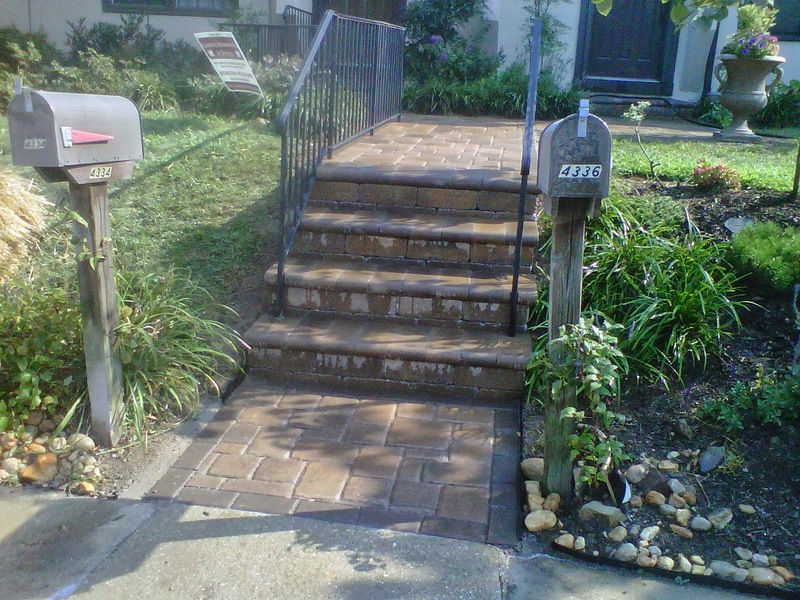 Before After pictures. 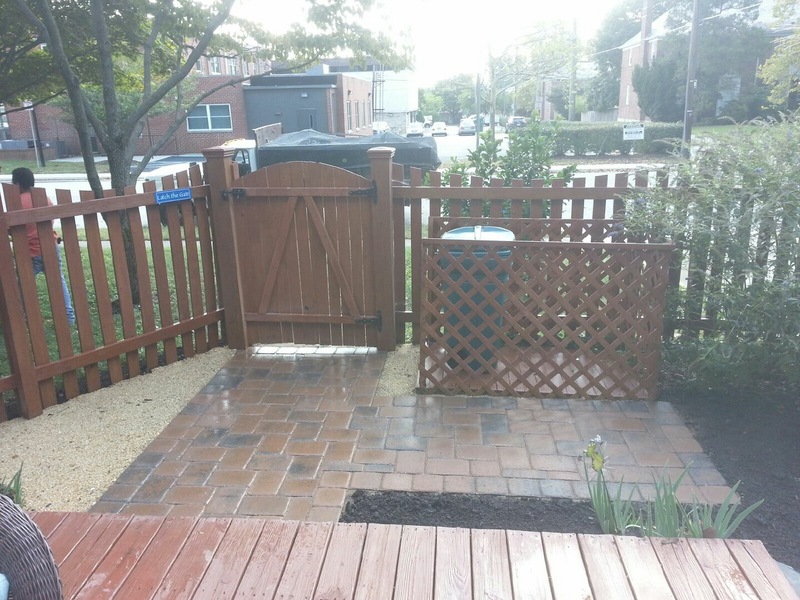 Installed new fence, patio, and walkway. 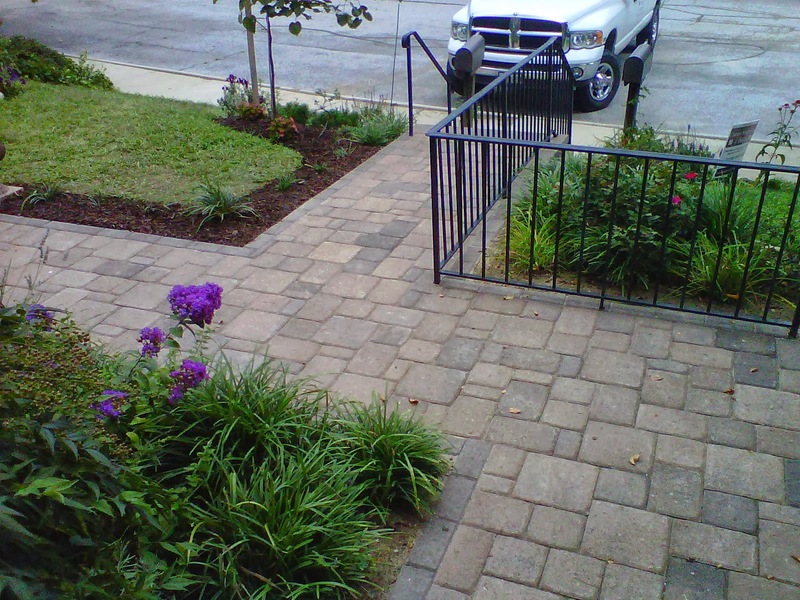 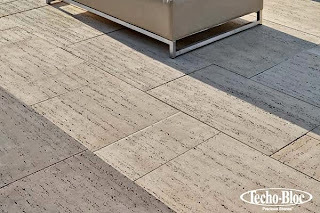 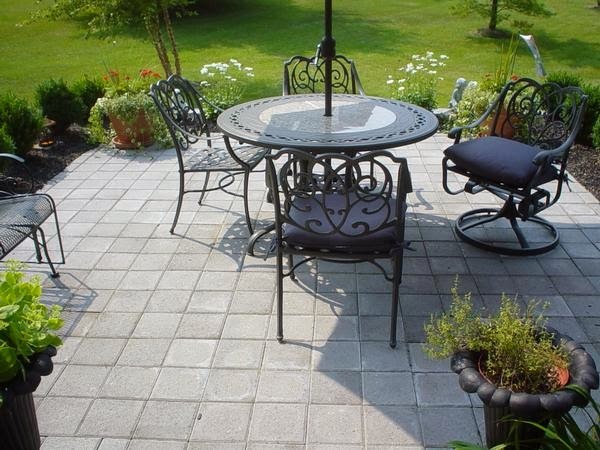 Paver style is the Patriot paver in chocolate tan blend color with a Keystone block step and bullnose step treads. 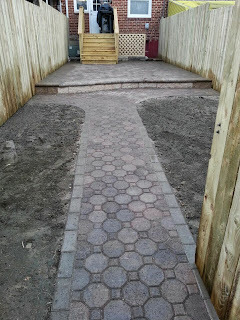 We also did topsoil beds for our customer to plant in. 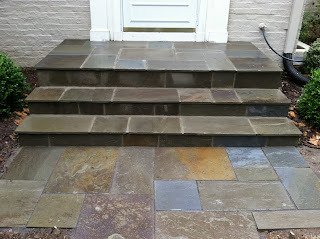 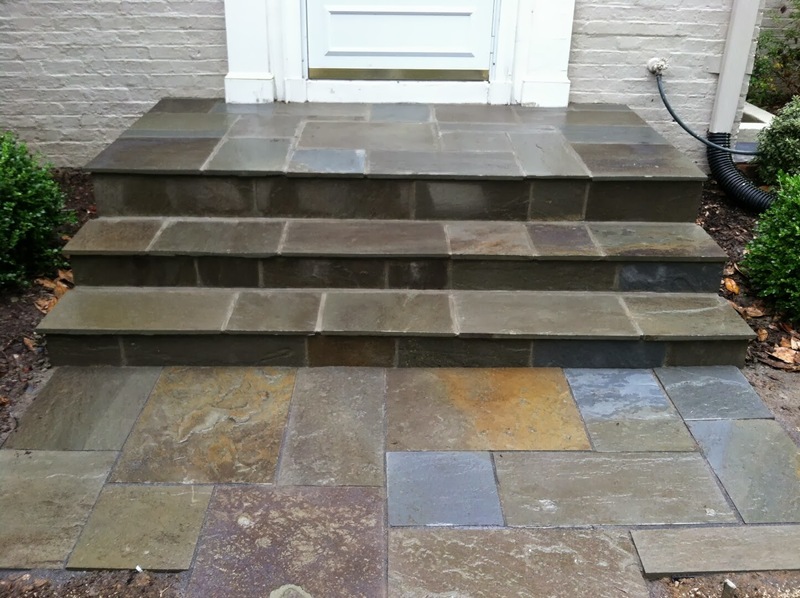 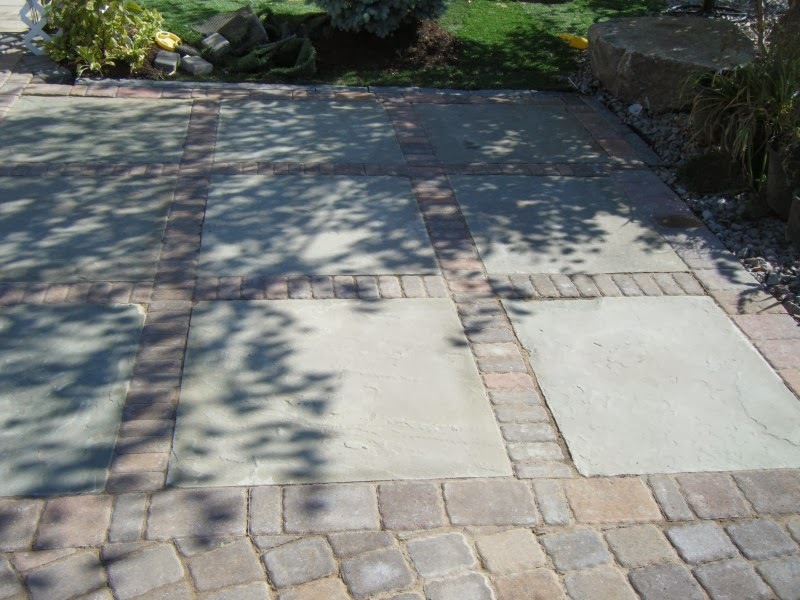 Natural Flagstone walkway and steps. 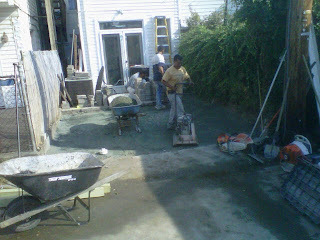 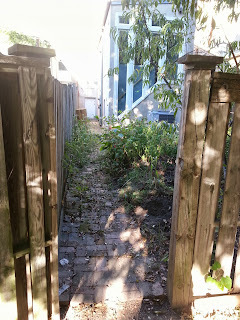 We removed concrete sidewalk section. 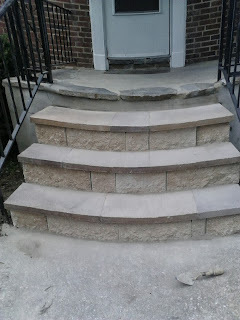 The walkway section stones are installed on a gravel base with polymeric sand in the stone joints and the steps we mortared cemented the stones to existing concrete steps. 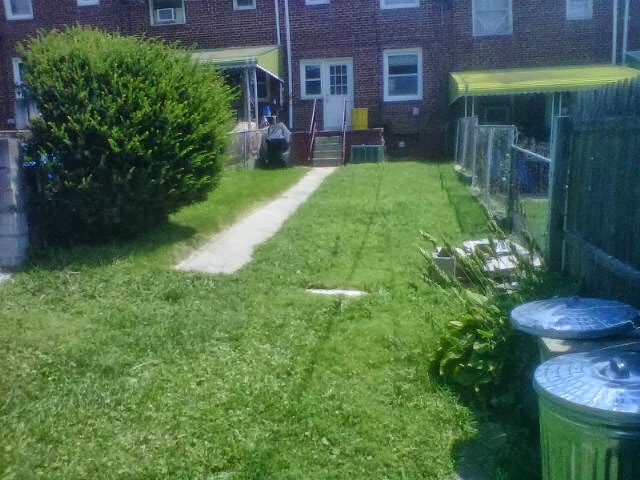 This 6x6 wood timber work was already there with a lawn in the backyard. Removed all grass and build a patio. 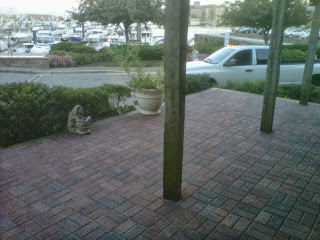 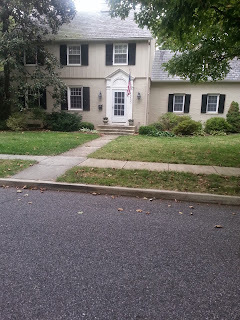 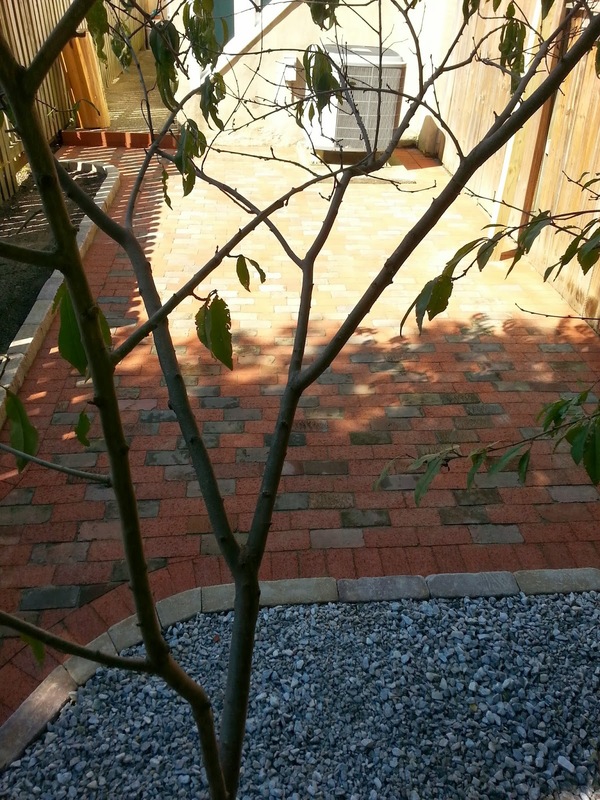 The pavers are 4x8 traditional in a basket weave pattern red charcoal blend color. 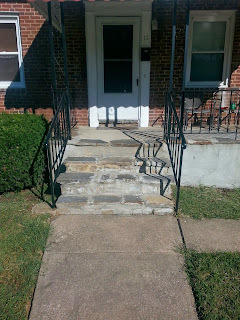 Replaced old falling apart steps with new Keystone Wall Block risers Beige color and Slate Faced paver step treads in the Tennessee Flagstone color. One day to install this job. 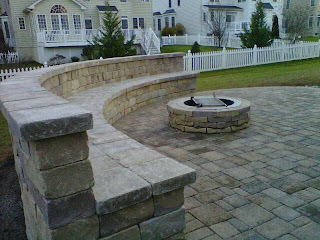 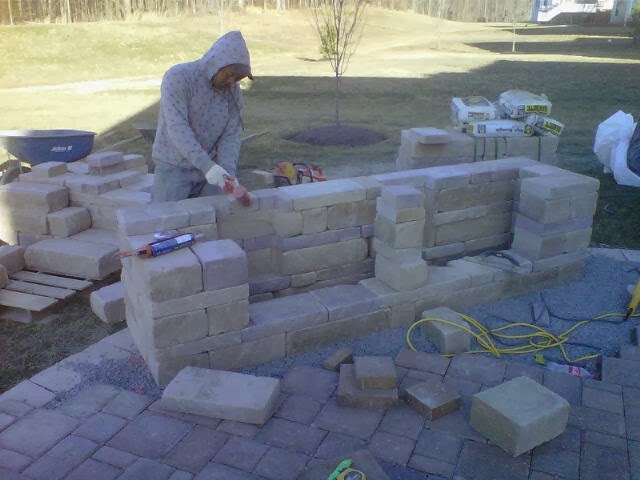 This custom built outdoor couch is made with the Chapel Stone Wall Block in the Tan Blend Color. 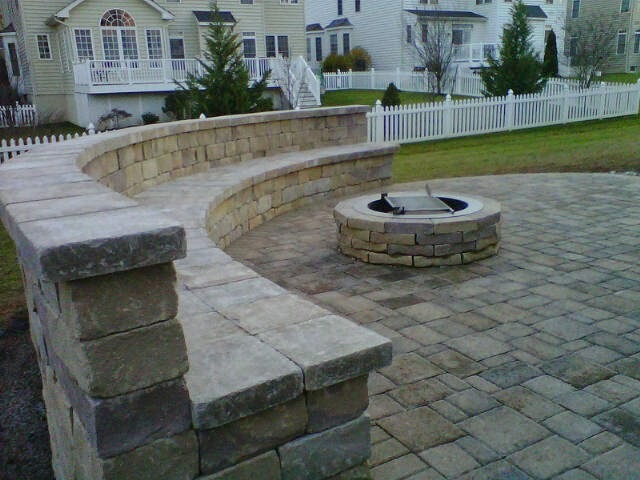 The fire pit is also made with the same material for a match. We also installed LED Low Voltage Lighting in the couch also. Enjoy with friends and family. 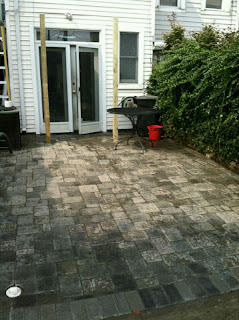 Before after pictures. 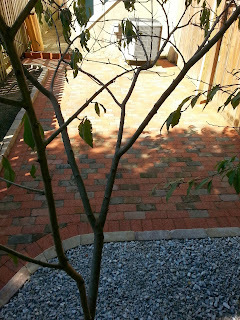 Saved existing brick and bought new brick to mix in for this new patio. Decorative gravel in one landscape bed and topsoil in other. 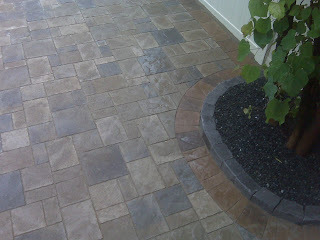 Chapel Paver edger's around both beds tan blend color. Customer is happy backyard is a living space. 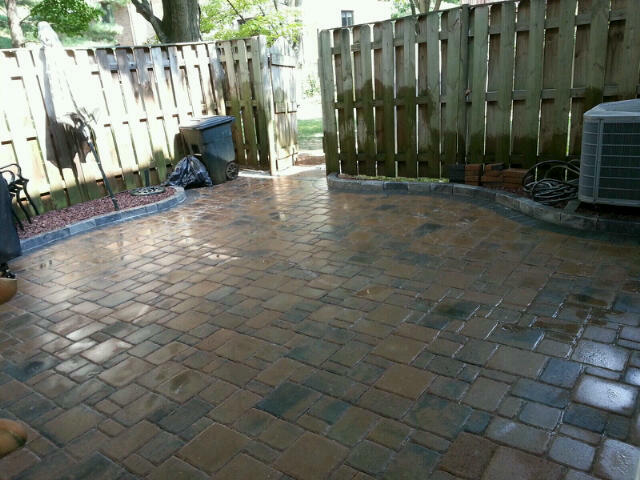 Before after pictures. 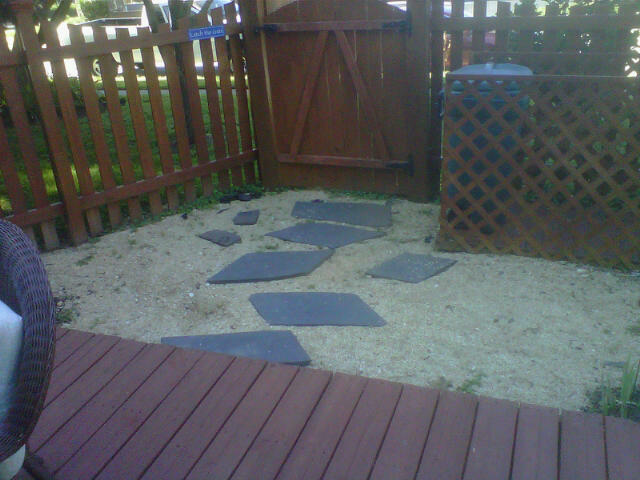 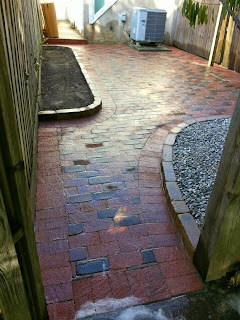 Removed the stones and saved this existing gravel. 6x9 appian natural finish pavers in the salmon charcoal blend color in a 90 degree herringbone pattern. 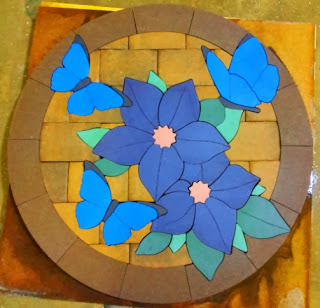 Used 6x6 size for border. One day to install. 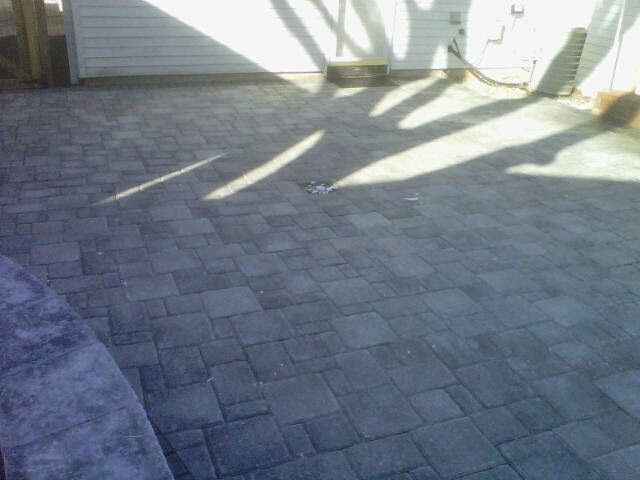 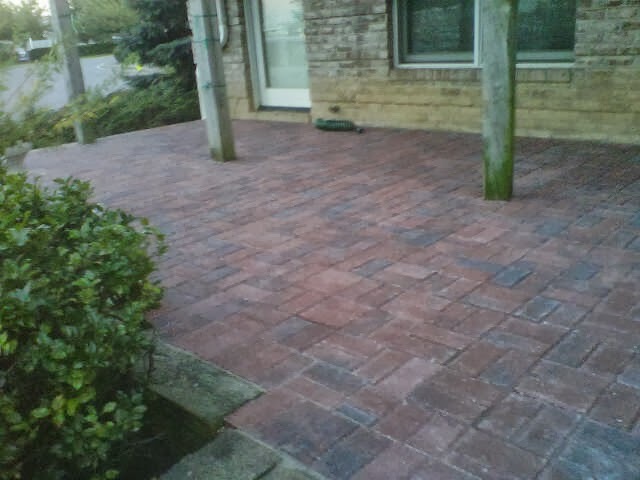 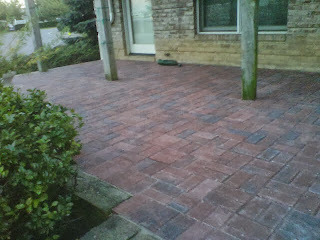 This is the 3" thick Halifax paver by Hanover. 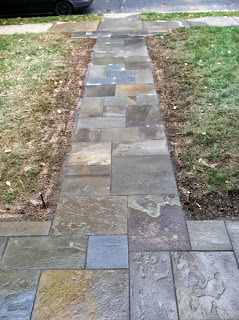 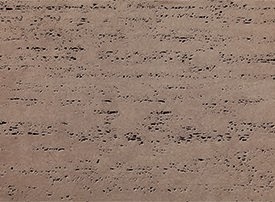 The border around perimeter is the chocolate tan blend and the random pattern is the south mountain sand color. 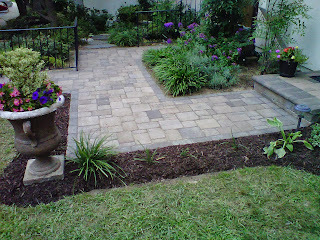 Grey blend chapel paver edger around flower bed. 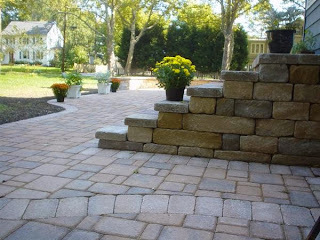 Appian style pavers in the chocolate tan blend with a Ammons Wall in the tumbled finish chocolate tan blend color custom built to hide trash/recycle cans. Make your row home backyard SWEET! This walkway is the appian style pavers in the natural finish. 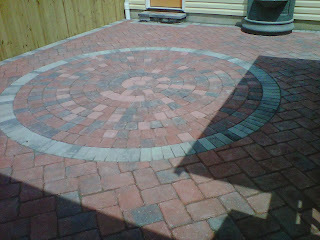 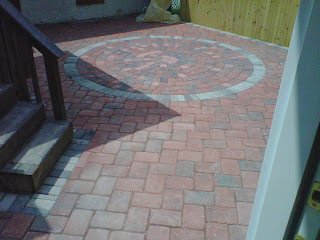 We used the appian circle kit and bordered it with the 4x8 traditional paver. 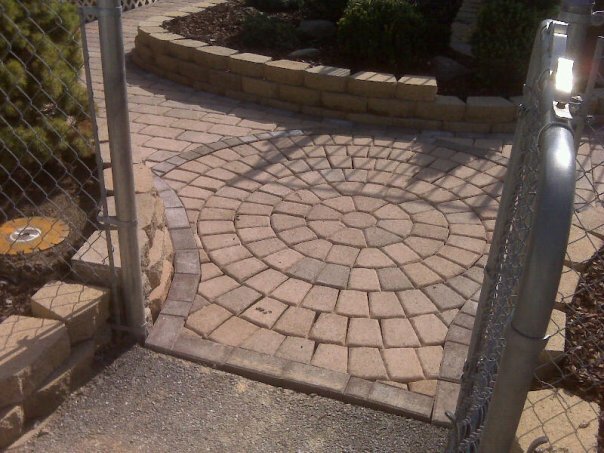 Putting a circle in a obscure spot can look really good. 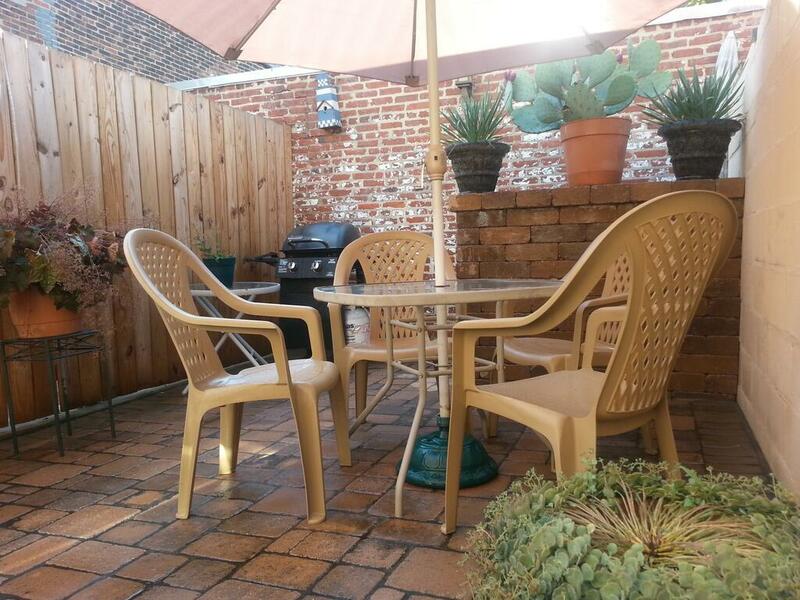 Townhouse patio in Columbia Maryland. 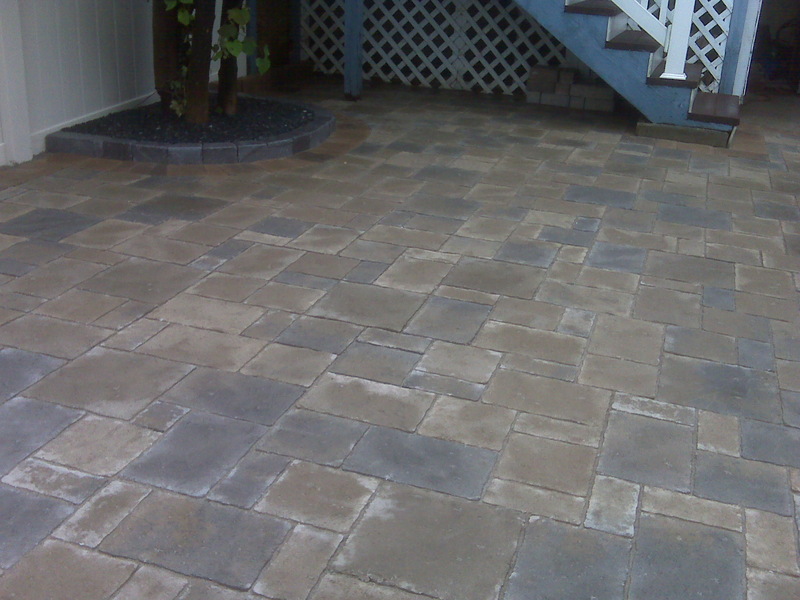 Appian natural finish pavers random pattern salmon charcoal blend color. Raised edger is chapel paver edger in the grey blend. Beds have 3/4" red decorative stone in them. Free estimates. 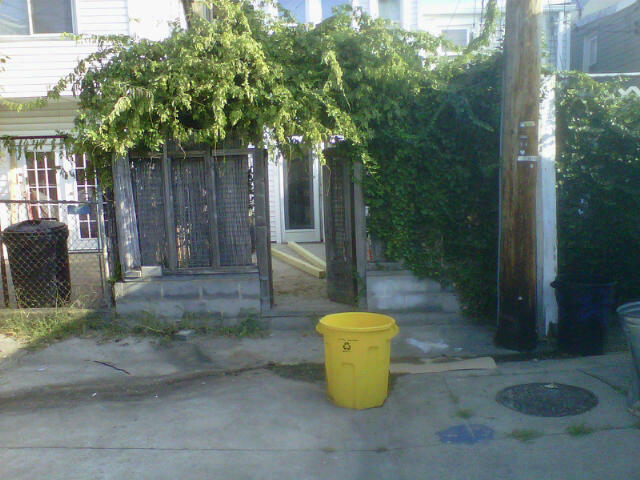 Row home in Federal Hill that the home owner wanted to park their car. Removed rear wall/fence and transformed this backyard into a paver parking pad. Come and go as you please in the city always a parking spot.